Direct365 offer thorough Legionella risk assessments to ensure that your Nursing Home follows the regulations and stays safe. Once Legionella contaminates water systems, everyone in the vicinity is susceptible; so business owners are legally responsible to maintain control measures. Don’t worry, if you need emergency testing then we can have an assessor to you within 48 hours. Nursing Homes are a high risk area due to the environment and residents. 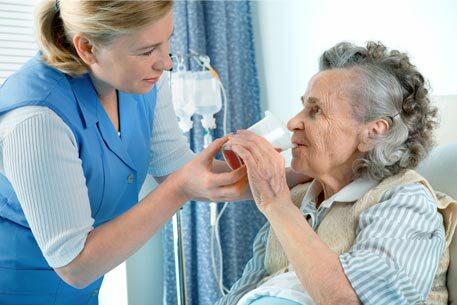 It’s vital to have reviews of water systems to protect care home residents, as they are especially vulnerable; the risk of Legionnaires’ disease increases with age, becoming particularly dangerous to over 45s and people with low immune systems. Make sure you conduct best practice for the health and safety of staff and residents so your Nursing Home is ready for when the Care Quality Commission come knocking. We’ll help you follow your legal duties and ensure all Nursing Home appliances – air conditioners, water tanks, plumbing systems and more – are checked by our LCA certified engineers. You’ll get a written review of your building, which will document your compliance to the L8 Approved Code of Practice. With so many regulations in place to enforce preventative monitoring, it’s hard to believe that Legionella still slips through the cracks. The truth is, some establishments just don’t follow the rules strictly enough, causing severe risks to residents and staff. In 2012, Reading Borough Council were fined £100,000 after a resident of their care facility, The Willows, died from pneumonia related to Legionella. The prosecution confirmed that RBC’s Legionella monitoring wasn’t robust enough: staff had insufficient Legionella awareness, temperature checks were inadequate and showers were not descaled and disinfected quarterly. With Direct365’s assessment service, these problems could have been avoided. Broadways Nursing Home in Larne managed to avoid fatalities from Legionella due to routine checks. In 2017, a strain of Legionella bacteria was found in the plumbing system, allowing work to be done to prevent an outbreak of infection. Had regular checks not been conducted, Legionnaire’s disease could have caused serious illnesses in the Nursing Home. Be like Broadways – stop the problem before it becomes a problem by calling Direct365 today.